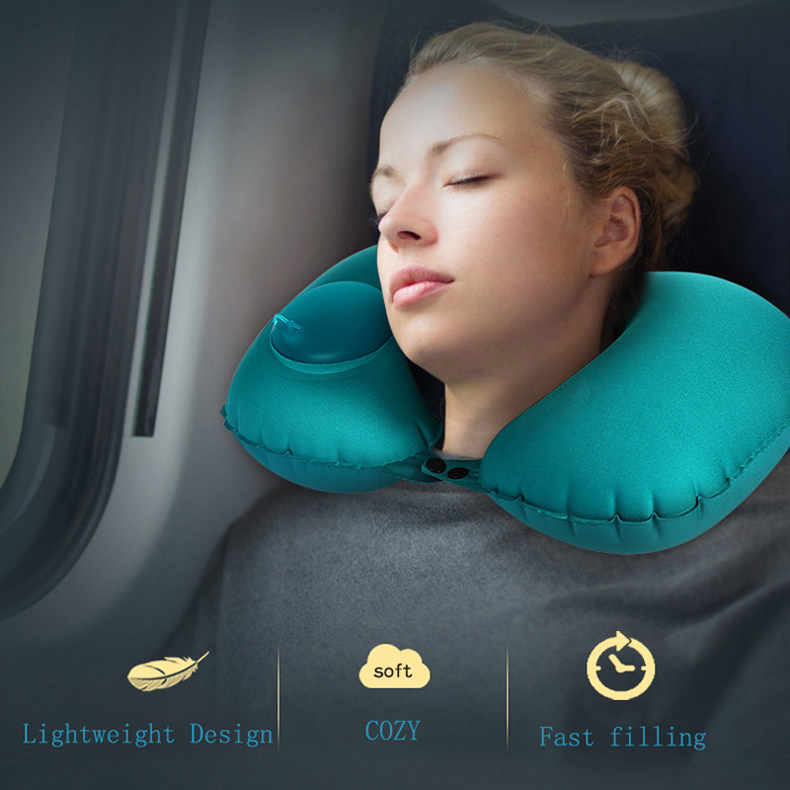 Trying to fall asleep on a plane is incredibly difficult, but having the right travel pillow can help you get some shut-eye during your flight across oceans and continents. 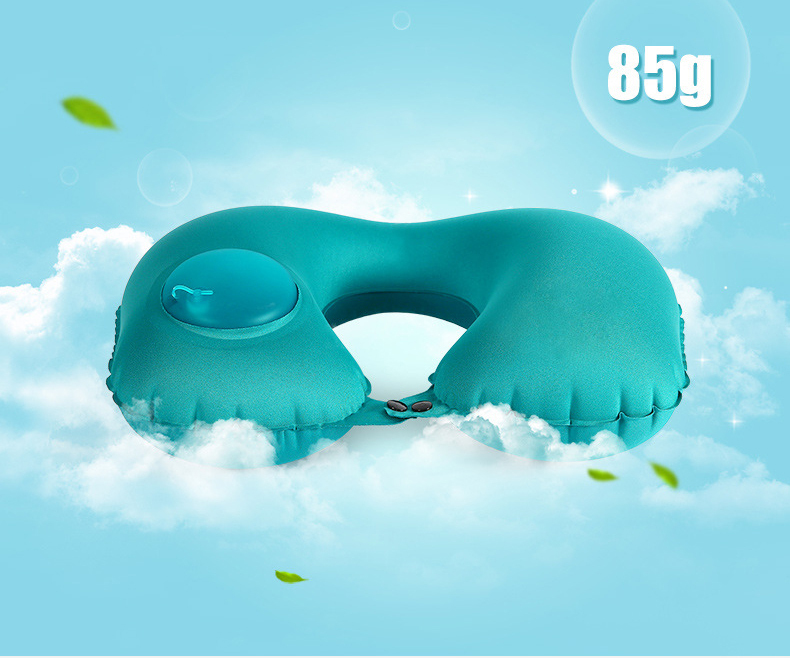 The Hand-Press Inflatable Travel Pillow is our top pick because it is comfortable, portable, and most importantly - manually inflatable. When you’re in transit to an airport or your hotel, you can deflate the pillow very easily, fold it up and place it in a corner of your bag. 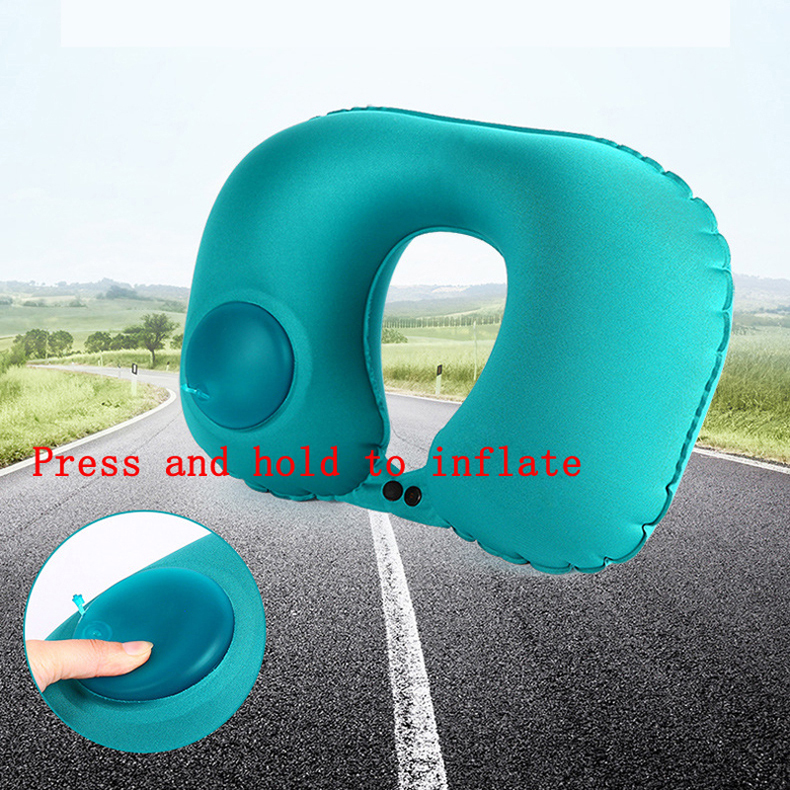 When you’re ready to use it again, just press and hold the pump a few times to Inflate the pillow. 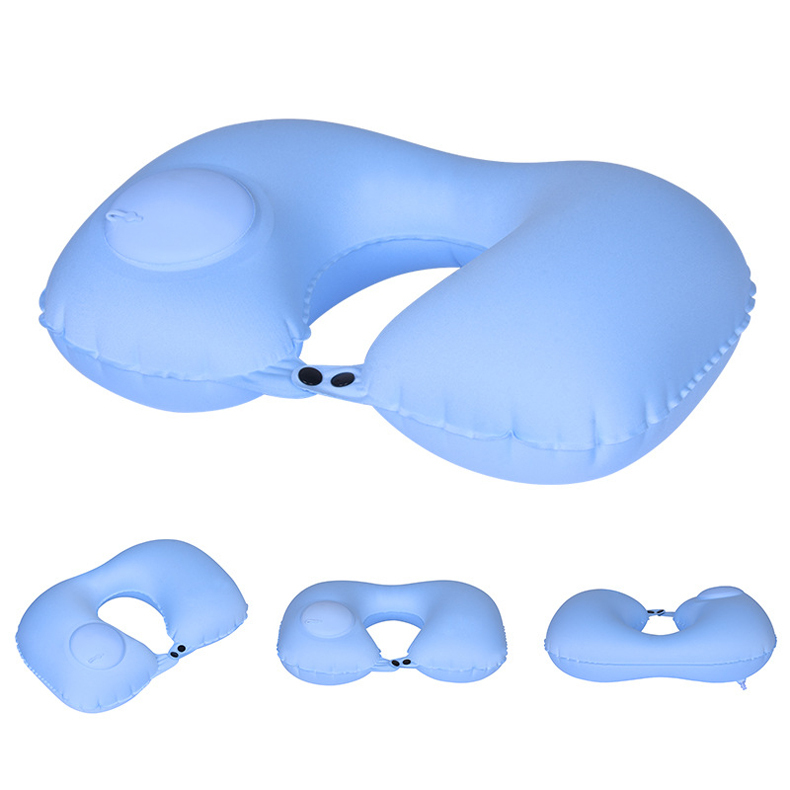 Easy to inflate by hand: The pillow can be fully inflated in about 1 minute by gently pressing the round air pump. Never again have to use your mouth for inflating traveling pillows. 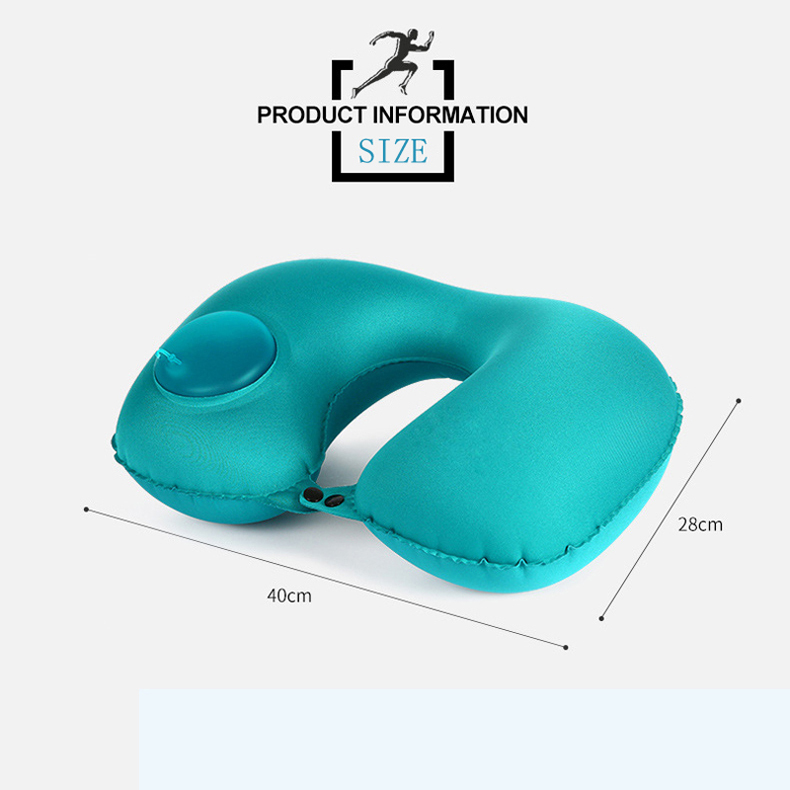 Foldable and lightweight: After use, deflate and fold the pillow to a small square, and place it in your pocket or in your bag. Take it with you no matter where and when you go. Adjustable buttons: 2 buttons at the end of pillow shorten or broaden it for different neck sizes. 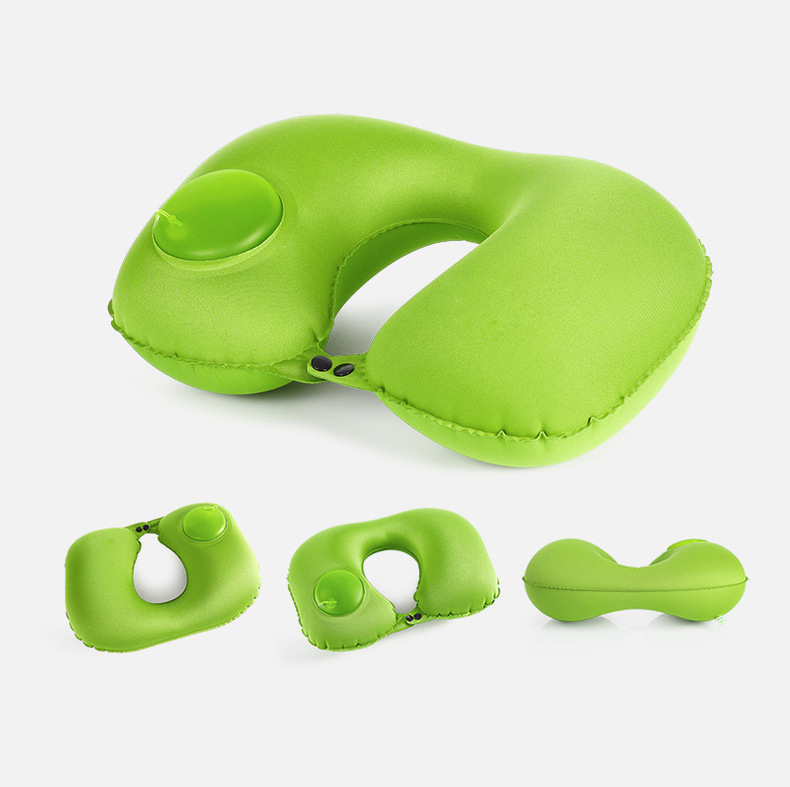 The buttons also provide a steady grip on your neck, so you don't have to worry about the neck pillow sliding away.